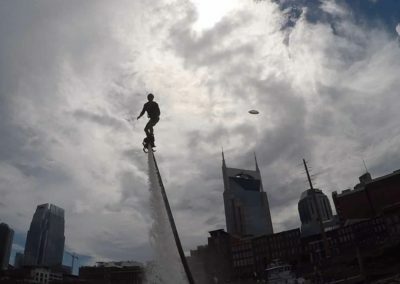 About Nashville FlyBoard. 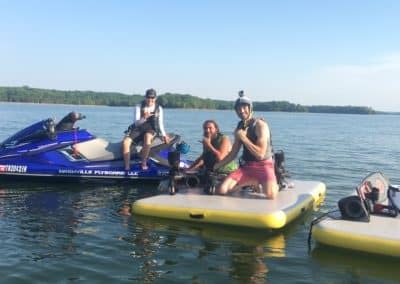 Summer Adventure in Nashville TN at Percy Priest Lake in Nashville Shores. 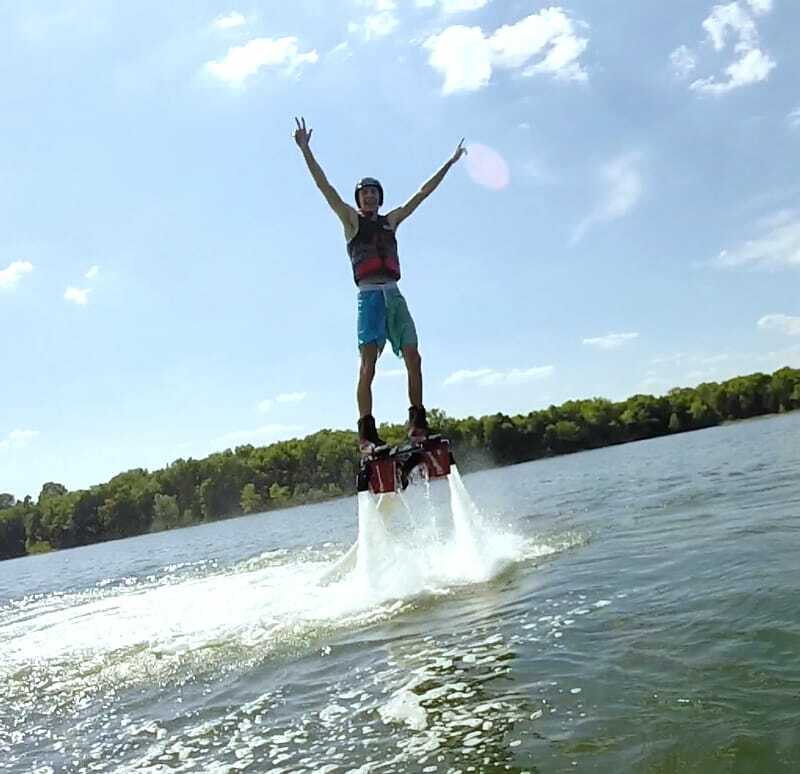 Flyboarding Is The Ultimate Adventure in Water Sports! 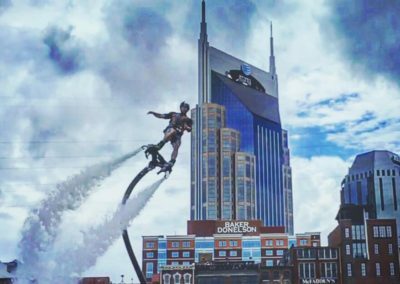 Nashville FlyBoard has become the new “Must Try” experience in Nashville! 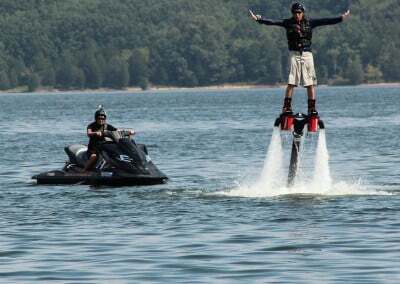 Great for group & event outings, Flyboarding is fun, safe and easy. 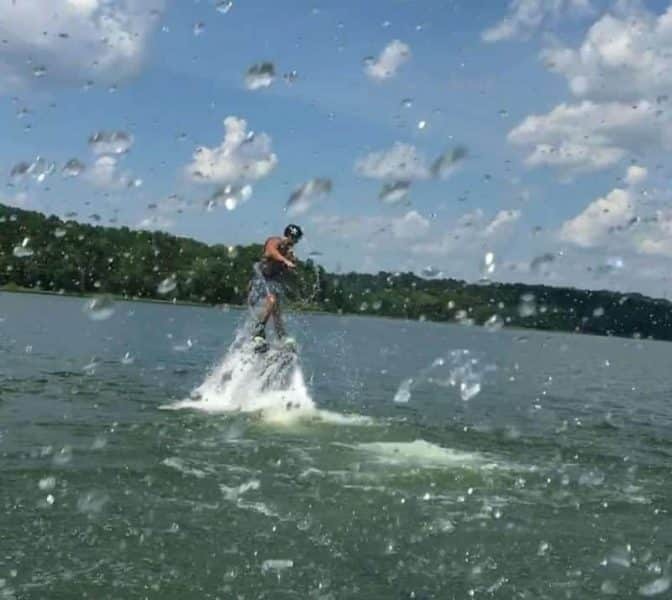 No prior water sports experience or special skills required! 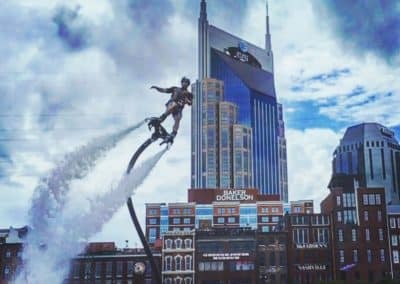 Visiting Nashville? 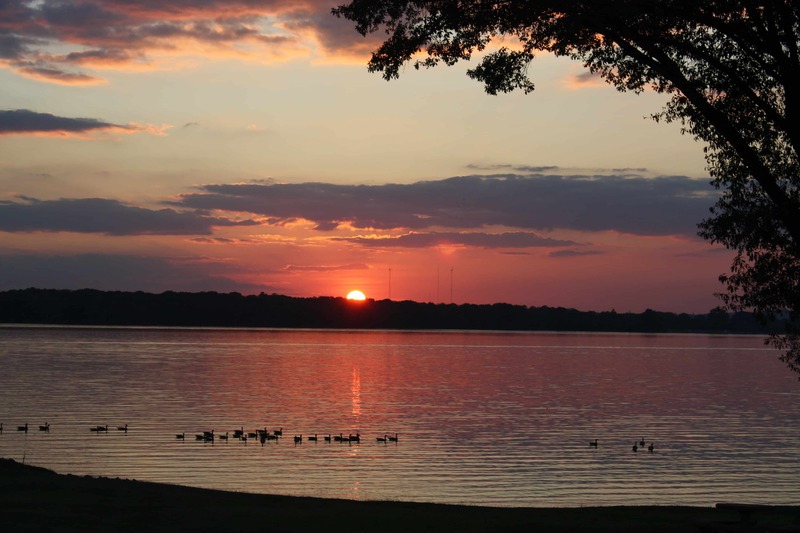 Percy Priest Lake is the closest lake to you, and just one of many locations we serve. 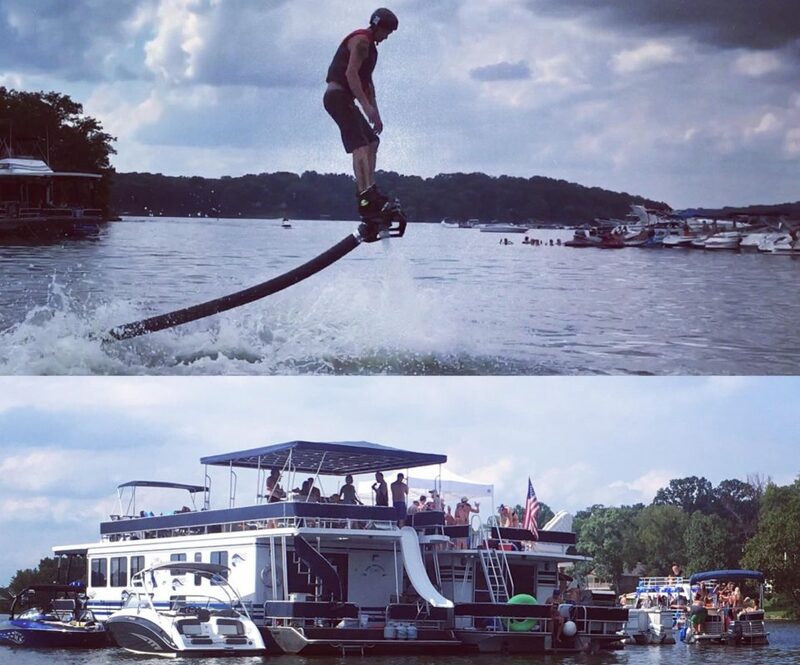 Come to our lakeside resort inside Nashville Shores at Cap’n Dave’s Water Sports, or choose your favorite cove and we’ll meet you out on the lake. 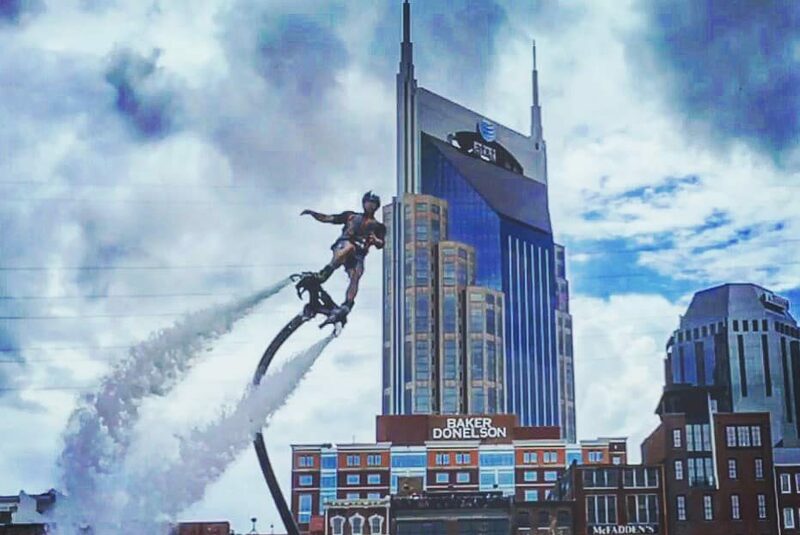 Nashville FlyBoard offers multiple options for events or parties, such as Flyboard® Demos, FlyBoard & JetPack Combo Rental Packages, HD GoPro Video, and more. Keep watch on our Blog and follow us on Instagram, Facebook & Twitter to learn about our Events, News, and Contests. 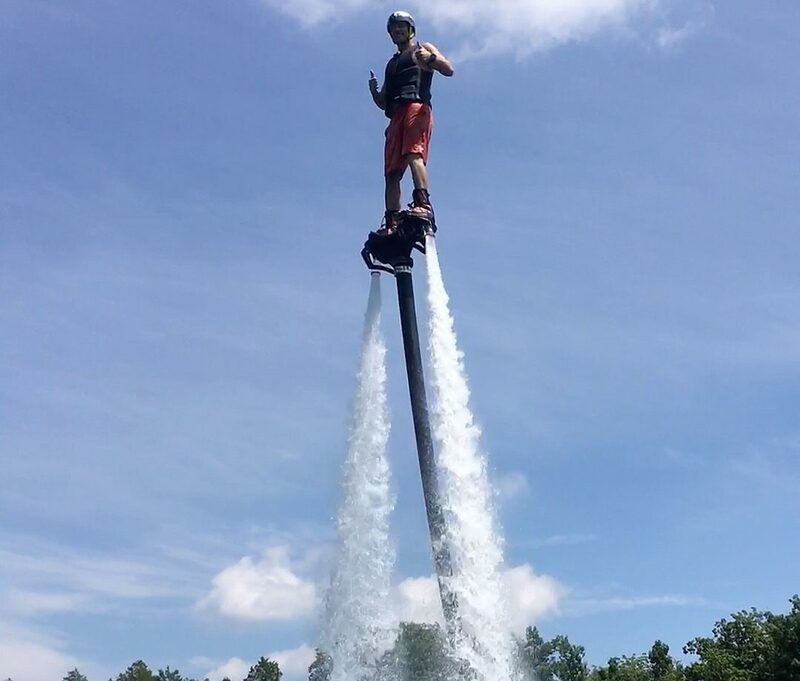 Learn more about FlyBoard® sessions and pricing here. 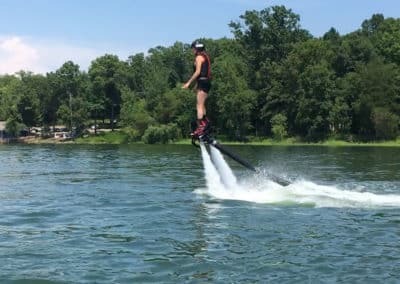 Nashville FlyBoard has introduced thousands of people to Flyboarding, and continues to be a leader in the hydroflight industry by making Flyboarding fun, safe, easy & accessible. 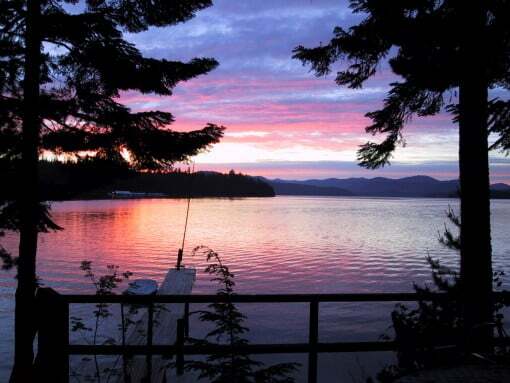 Our goal is to maintain a positive relationship with our customers by providing dedicated service and one on one Instruction to each individual for a unique, unforgettable experience! 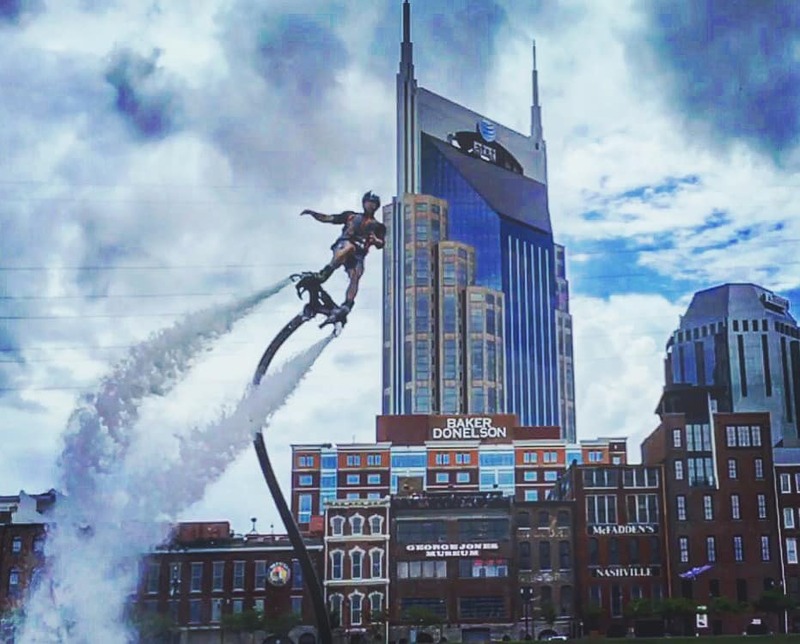 Nashville FlyBoard was founded in 2014 by Melissa Moore, and is an official Zapata Flight Center. We provide sales and rentals of all the latest Zapata products and technology. 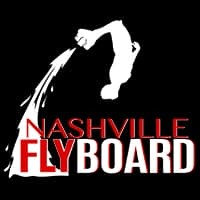 Nashville FlyBoard is dedicated to helping Hydroflight sports stay safe, fun, and easy! We invited the TWRA for a visit over the 2017 summer season to discuss any concerns of safety and Hydroflight Sports. 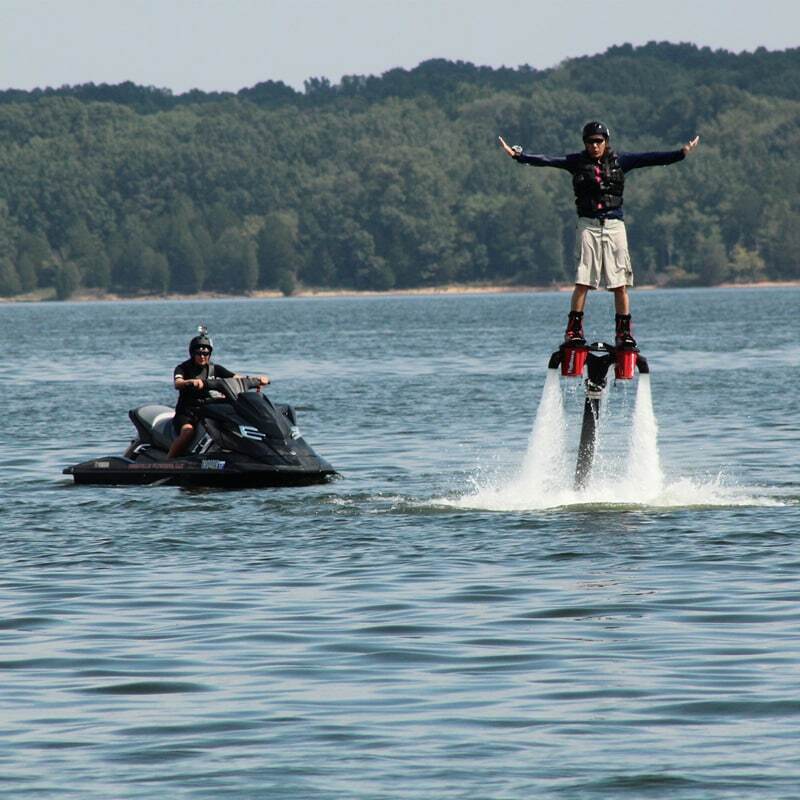 We educated and informed the TWRA about Hydroflight sports. 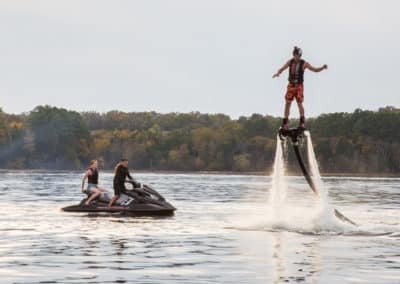 The officers who visited us left with the understanding that when participants act responsibly, as with any boating, water sports, or other lake activities, Flyboarding and Hydroflight Sports are no more dangerous than riding a jet ski. 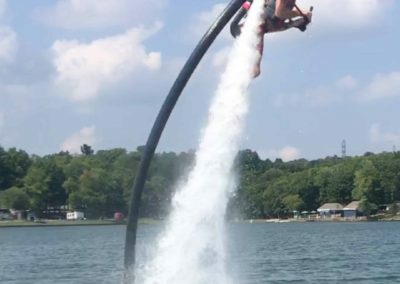 They loved Flyboarding! 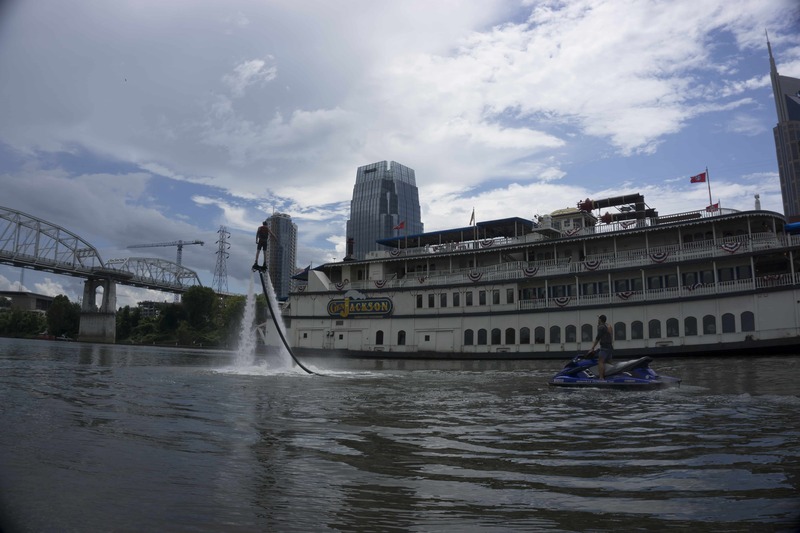 TWRA Officers Talk About FlyBoarding with Nashville FlyBoard Owner Melissa Moore. 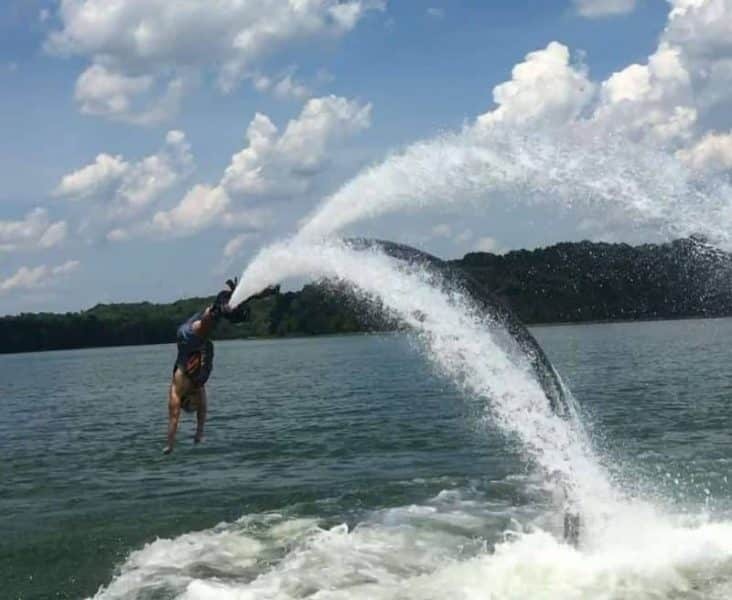 After showing Officers from the TWRA how Flyboarding works, the officers get the understanding that when participants act responsibly, as with every boating, water sports or lake activity, Flyboarding is no more dangerous than riding a jet ski! 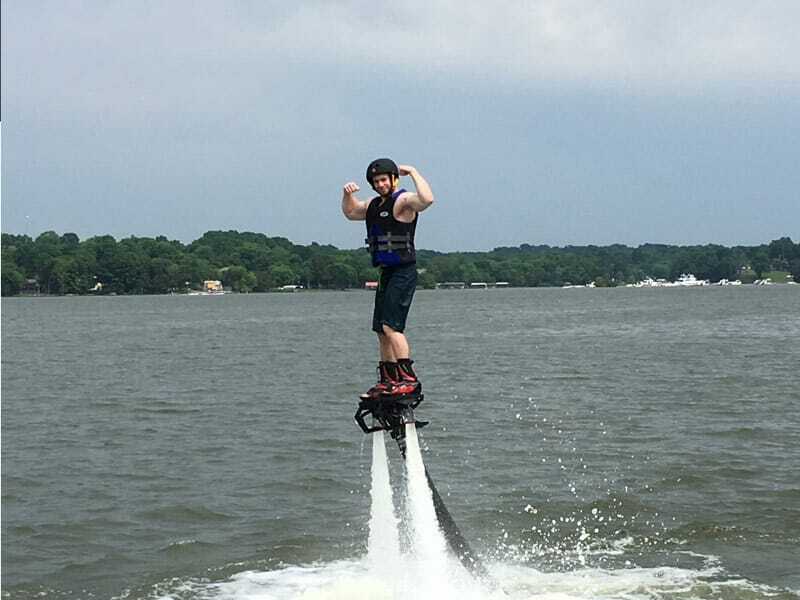 The officers from the TWRA were excited to try Flyboarding! 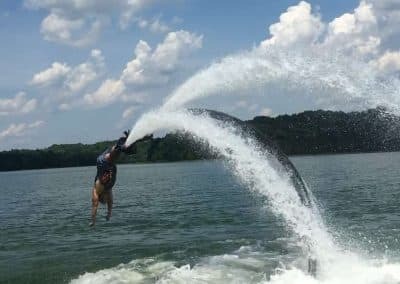 The TWRA officers who came out to Nashville FlyBoard had a blast – So did we! 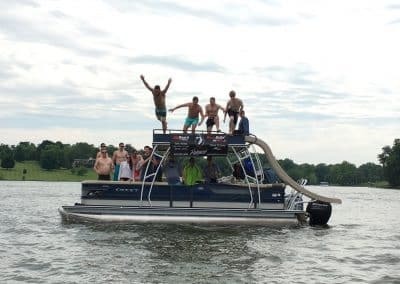 We’re extremely grateful to them for taking the time to learn more about Hydroflight Sports! 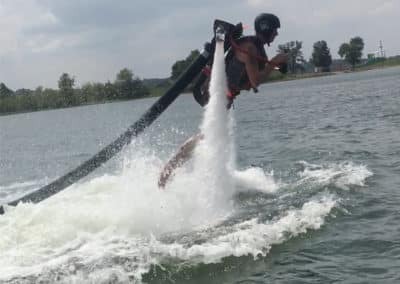 Exclusive Services Only at Nashville FlyBoard. 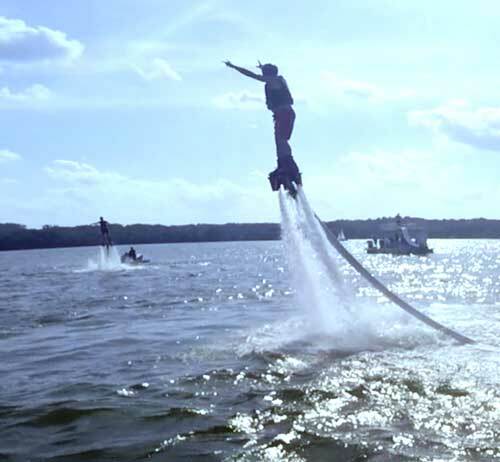 Experience The Exhilaration of FlyBoarding Quickly, Safely & Easily – Guaranteed! 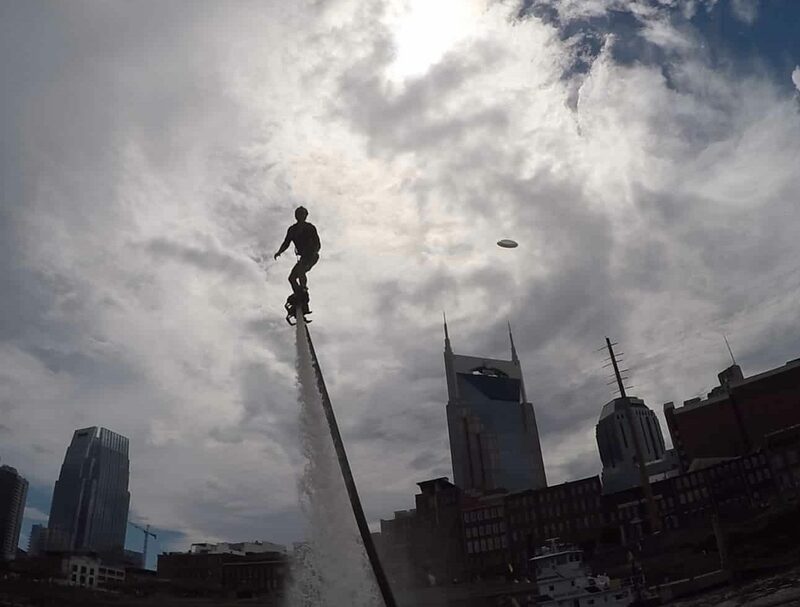 Nashville FlyBoard makes Flyboarding easy & accessible for people of all ages, sizes, & experience levels. 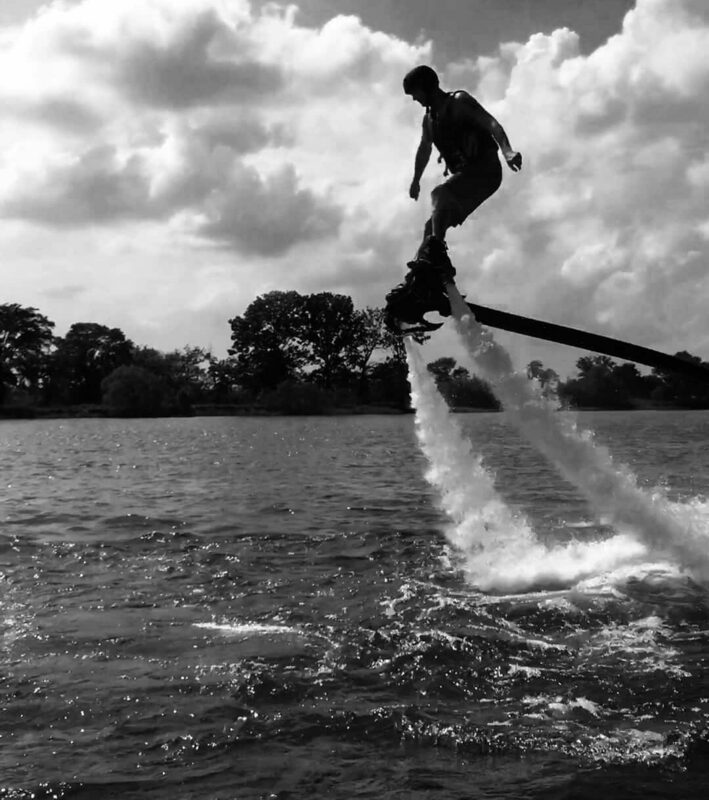 We guarantee you’ll learn to Flyboard in your 30 minute session, or you get your money back! 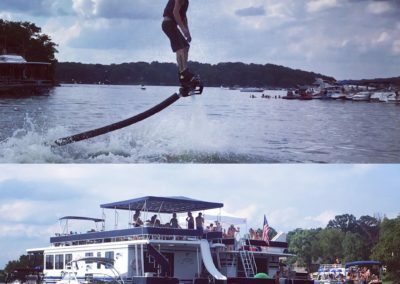 We specialize Group & Event rentals, and offer our services from 20 minute Flyboard® rentals, to full weekend events at the lake. 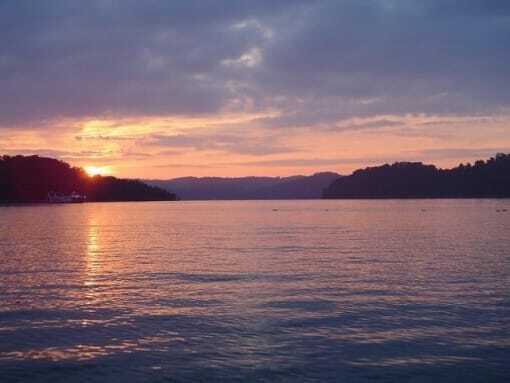 Come to our Nashville location just 20 minutes from downtown, or, our Professionals are equipped to travel to any location you choose throughout Middle TN & Upper Cumberland region. 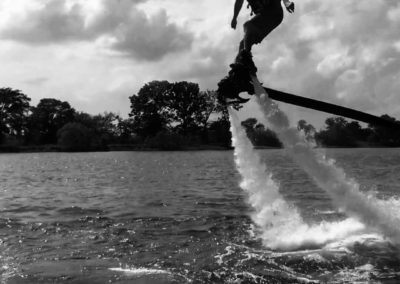 We bring all the equipment you need to start surfing the sky! 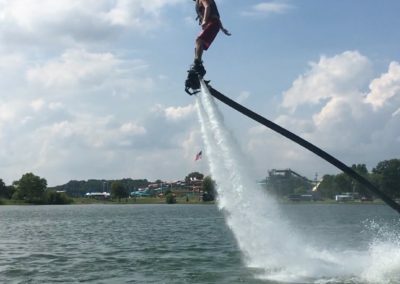 Nashville Flyboard provides unique Water Sports rentals in a fun, friendly, safety conscious environment. 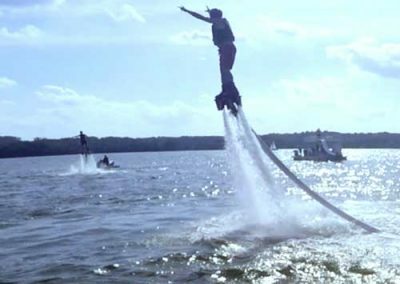 FlyBoarding and Hydroflight sports are the newest revolution in water sports, and have taken the world by storm. 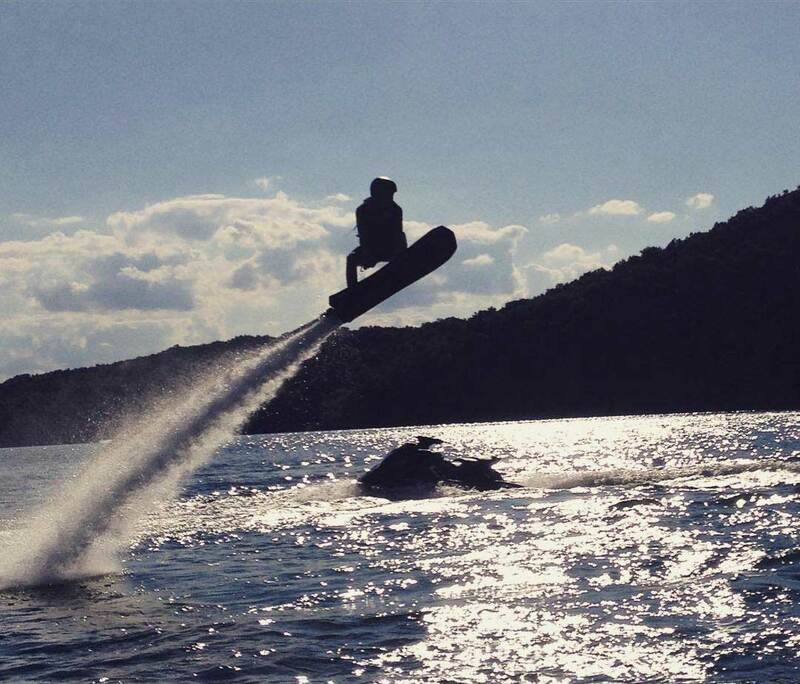 FlyBoarding may look intimidating at first, but rest assured, it is very easy. 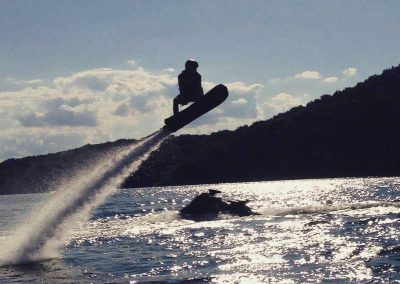 With our highly skilled Instructors, anyone can learn to do it, regardless of age, size, athletic skill or prior water sports experience. 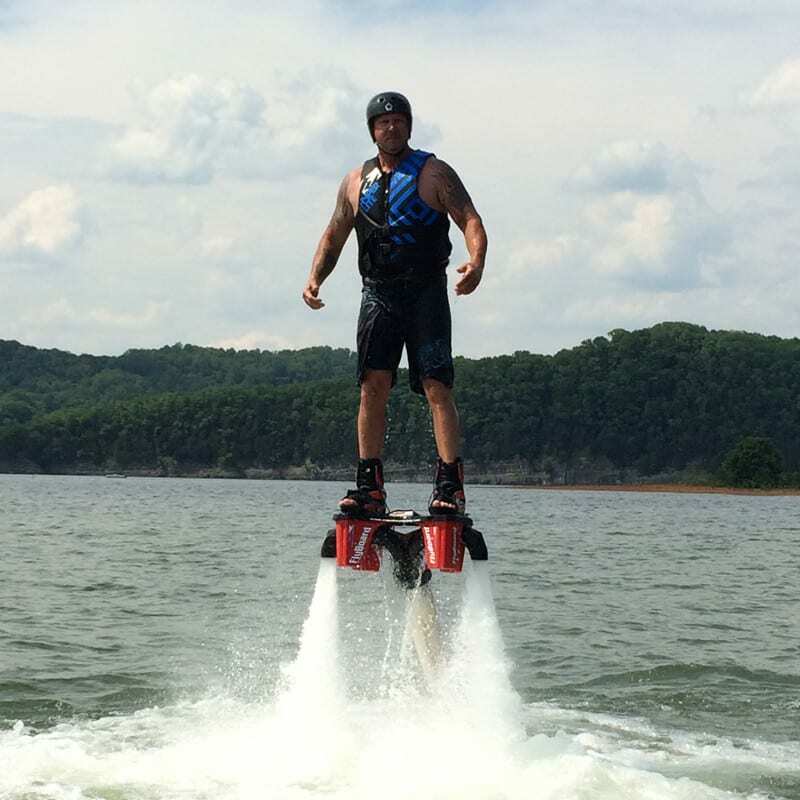 The Hoverboard and JetPack by ZR® is also available to try at Nashville FlyBoard. 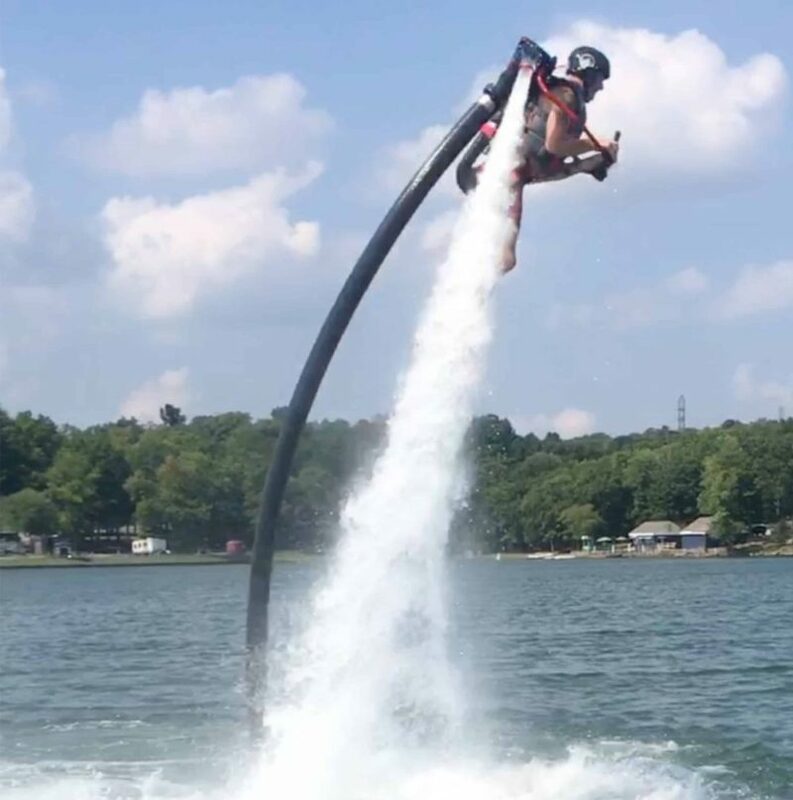 Each Hydroflight device provides it’s own unique experience of exhilarating jet powered human flight. 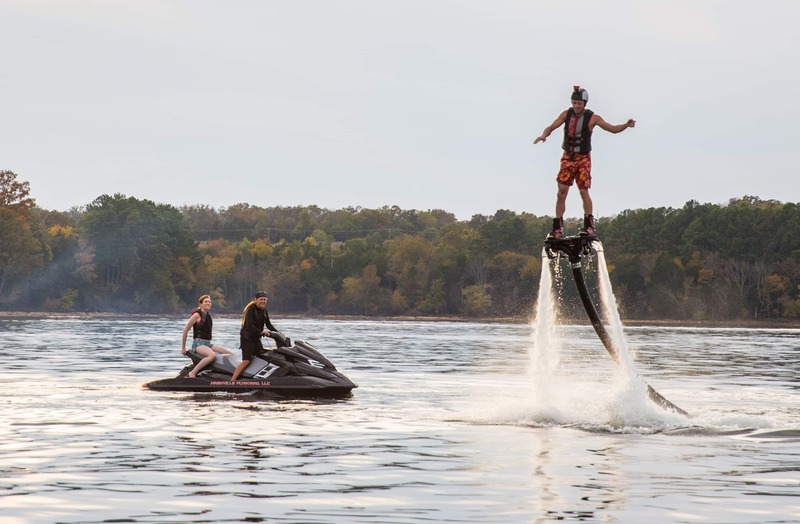 Our crews provide the Middle TN & Upper Cumberland region with all official Zapata products, including the FlyBoard®, Hoverboard, and JetPack by ZR® for sales & rentals. 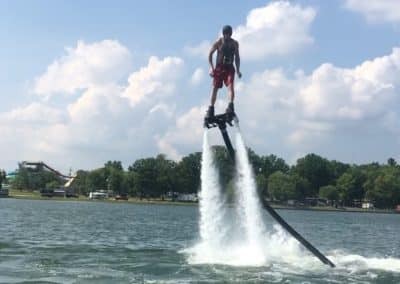 When you book with Nashville FlyBoard, you will be provided with top of the line, dependable equipment, and a highly skilled Certified Instructor to teach you to flyboard quickly and safely. 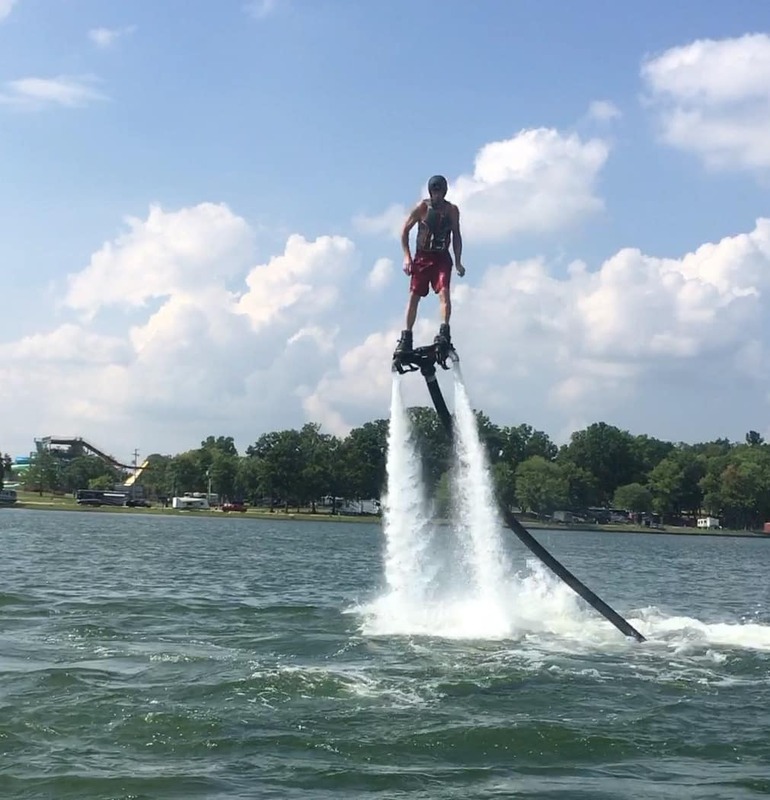 Your Instructor will continue to teach you tips and tricks throughout the entire flight, as you intuitively adapt to the FlyBoard®. 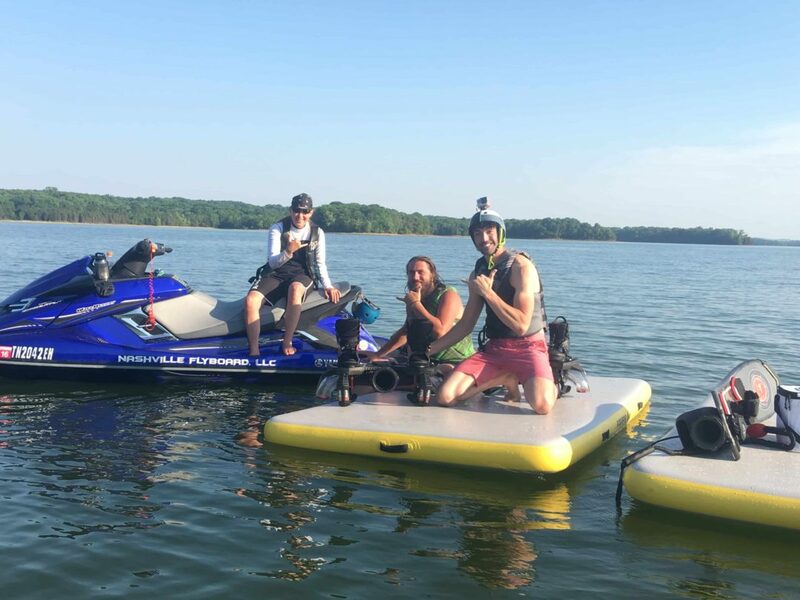 Helmets & life jackets are required and provided for all rentals at no extra charge. 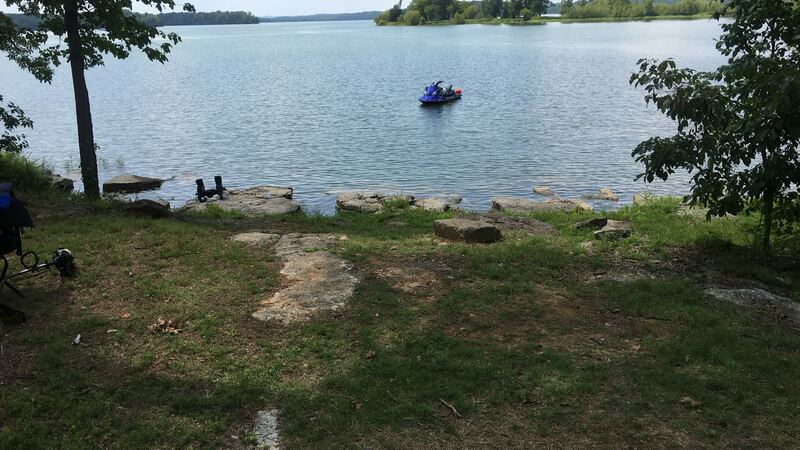 We also offer wetsuits for cooler temperatures! 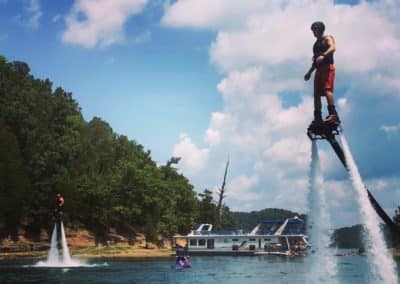 Nashville FlyBoard specializes in group & event rentals from Bachelor Parties, Birthdays, Reunions, Graduation Parties, Corporate Events and more. We’ll help plan your event, and help determine the best location based on the needs of your group. 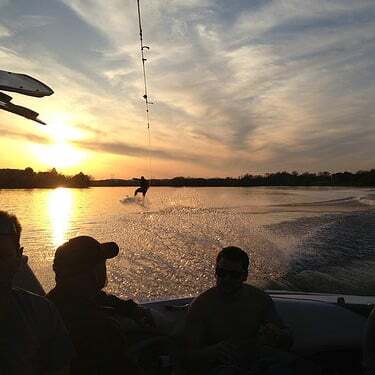 Our crews are equipped to travel, and will meet you at your boat, or your lake house. 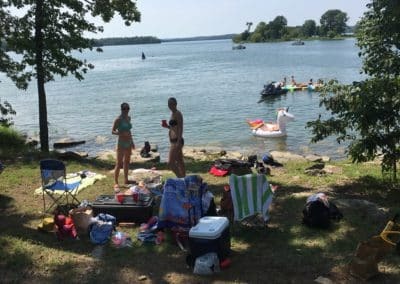 You and your group can chose your favorite lake or cove for your event, as long as the area meets our safety standards, or, we will suggest an area for you. 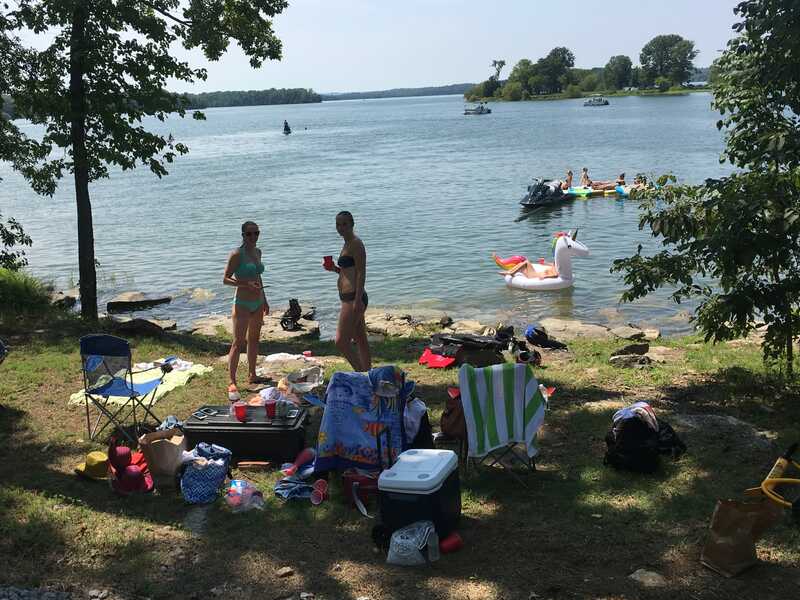 If you choose to host your event at our Lakeside location, we’ll provided the grills, rafts, and a private lakeside haven for your group to party in the sun! 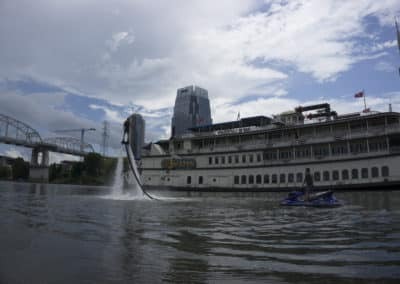 Learn more about our Nashville Location! Now Serving More People at All Locations in 2018! 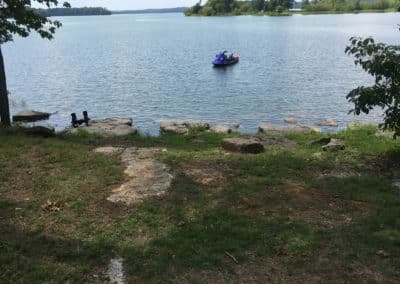 Our service areas include: Percy Priest, Center Hill, Old Hickory, Dale Hollow, Tims Ford, Private Property or Special Requests. Book In Advance for Best Availability! 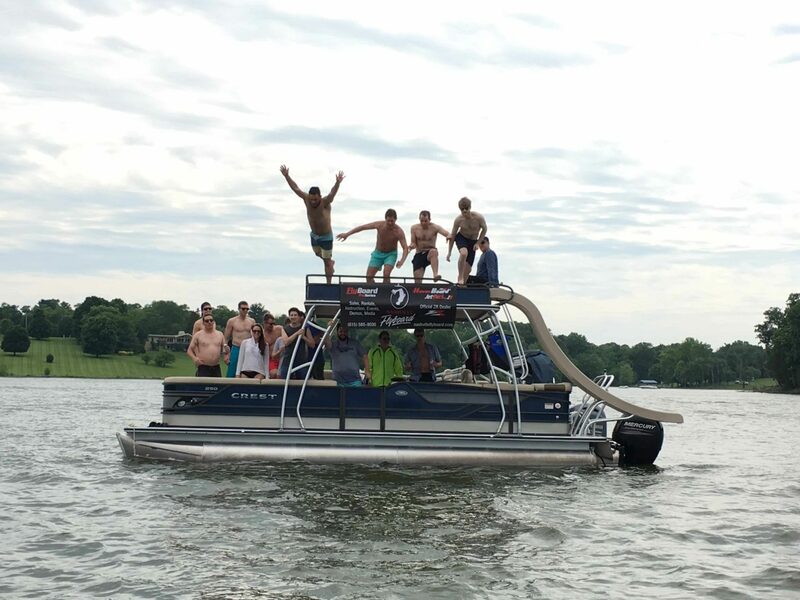 Got an event on the lake, at your Marina, or Downtown near the Riverfront? We’ll Fly your promotional banners, perform demos for your guests and more. It’s an awesome way to bring attention to your business! 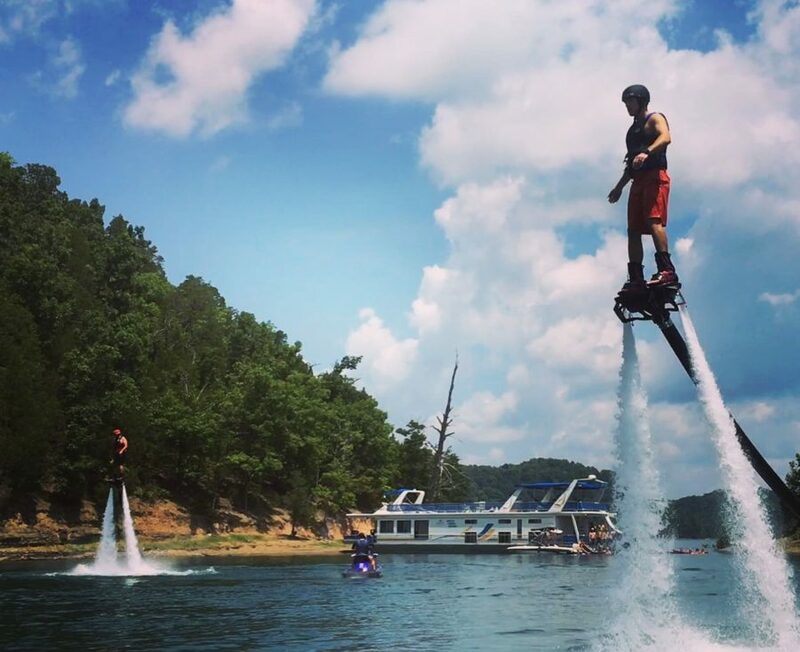 Call us at (615) 580-9030 for more about advertising opportunities with Nashville FlyBoard! 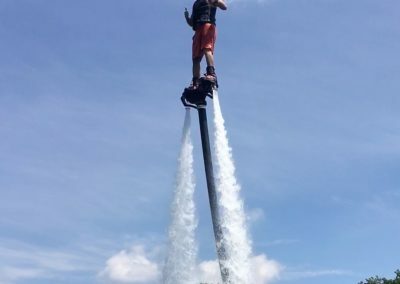 One of the most frequently asked questions, and biggest misconceptions about FlyBoarding! 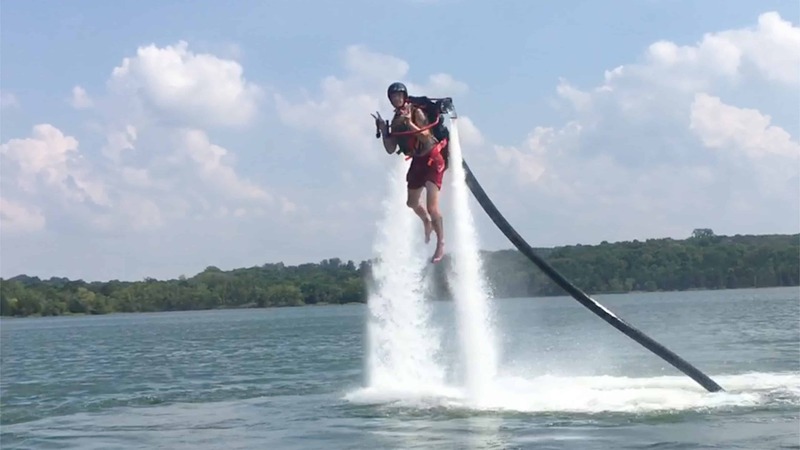 FlyBoarding is very easy especially when you’re being trained by the highly skilled crew at Nashville FlyBoard. 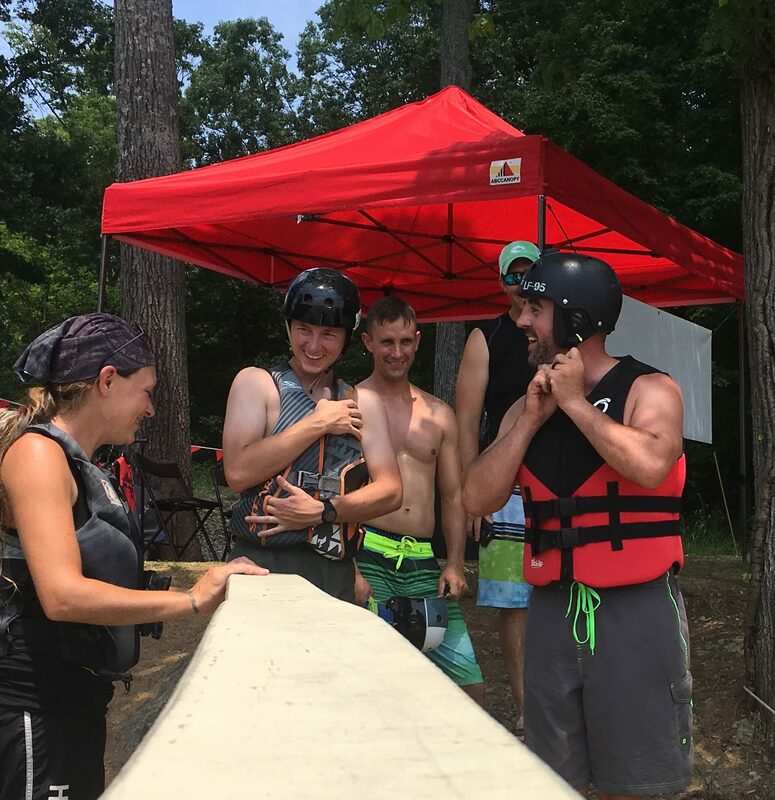 As with most sports, your Instructor plays an important role in how quickly and easily you learn, and our Instructors guarantee most people are up in five minutes. 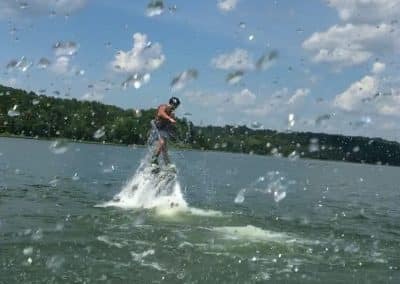 FlyBoard Safety – Always Be Sure You’re Flying with a Certified Instructor! 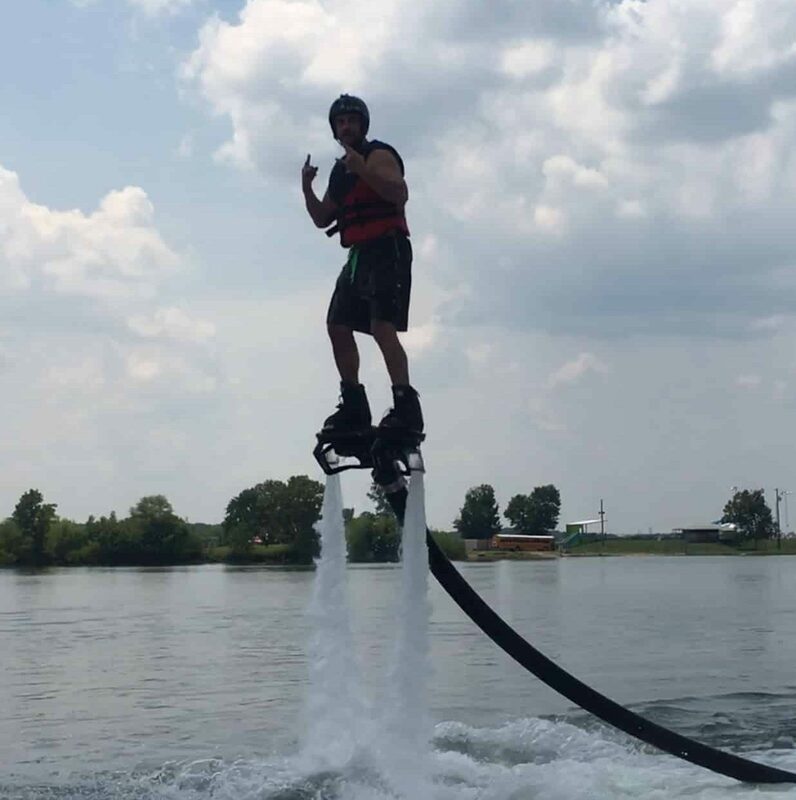 At Nashville FlyBoard, crew members are trained to take extra precautions to ensure flight operations in the safest conditions possible. 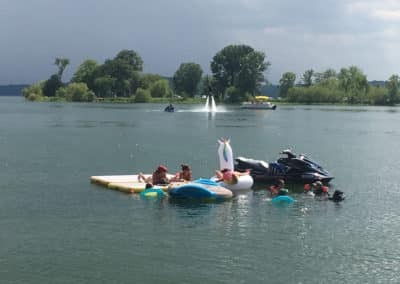 Particular ways to ensure customer safety is to perform systematic preflight equipment checks, ensure safe operating conditions in bodies of water by having them surveyed for depth and obstructions, and by remaining in these areas that are safe and familiar to the crew. 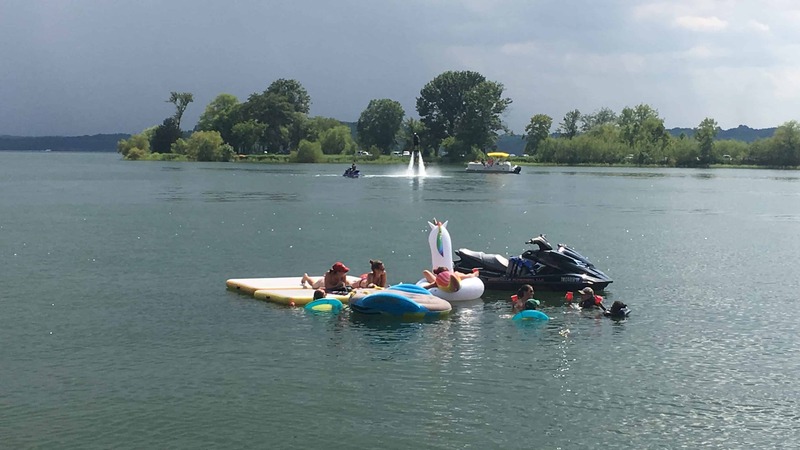 We have set up “safe zones” for each lake where we operate. If our crew is called into an unfamiliar area by request, we will test and maintain safe conditions by learning the water depth, release schedules of dams, inspecting the area thoroughly, and checking for any other irregularities immediately prior to a flight. 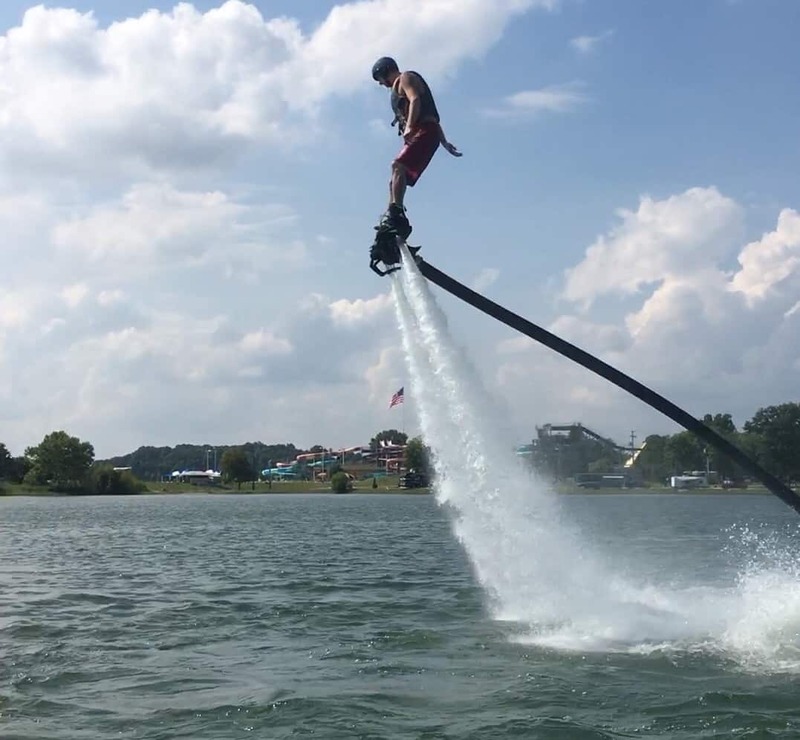 Sales of all Zapata Racing products, including the FlyBoard®, Hoverboard by ZR®, and ZR Water JetPack, are available at Nashville FlyBoard, an authorize Zapata dealer. 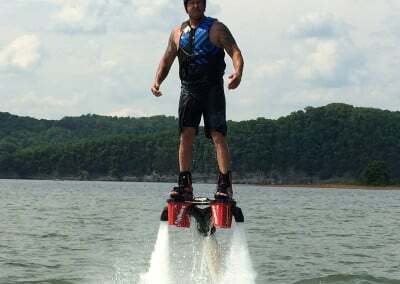 Our FlyBoard® pros offer services ranging from Wireless EMK Installation to FlyBoard® repairs, and will provide the 3 hour training course which is required for all first time purchases of the FlyBoard®, Hoverboard & JetPack by ZR®.Only Nashville FlyBoard has the trained and experienced professionals to provide you the service, safety, knowledge, and instruction you can trust. We make it our mission to teach our customers about the safety of Zapata Racing products. 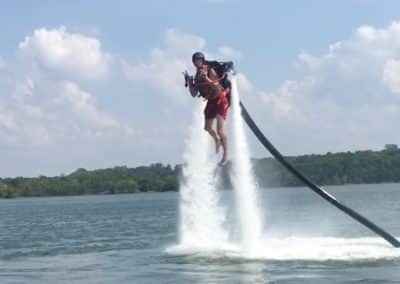 With the proper safety protocol in place, Flyboarding is the safest way to Fly, and the most fun you’ll ever experience without as much risk of other Adrenaline sports. Services & repair are provided for all New & Used Zapata Racing Products. 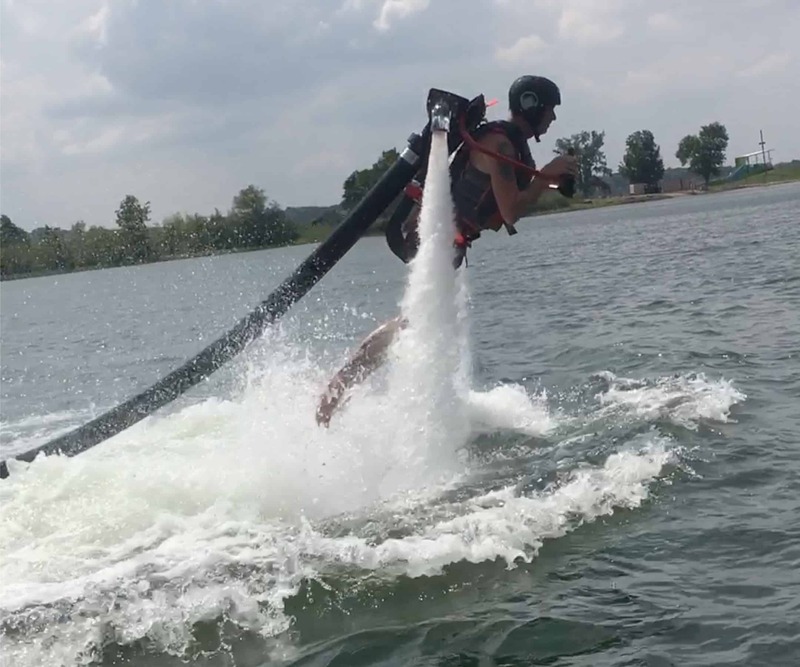 Contact Us to purchase parts & accessories.Nashville FlyBoard Business & Employment Opportunities: If you are interested in joining a team of motivated professionals, please Contact us.